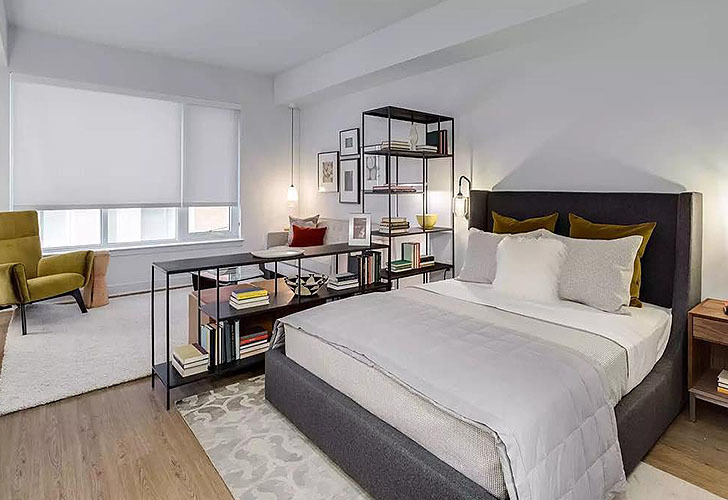 One of the biggest challenges when living in a small apartment is creating multiple rooms when you really only have one space. The trick is to give your space definition without making it feel closed off and smaller than it already is. The design solution? A bookshelf! Not only do bookshelves allow you to divide small spaces without weighing them down, they also provide valuable storage space. 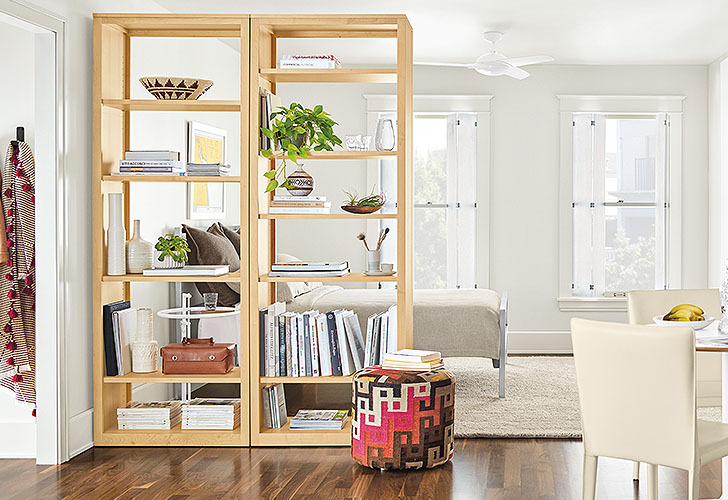 Our Foshay bookcase’s clean, modern details make it easy to create a wall full of architectural-style. The combination of the tall bookcase and console creates an airy flow between the bedroom and living room in this space. 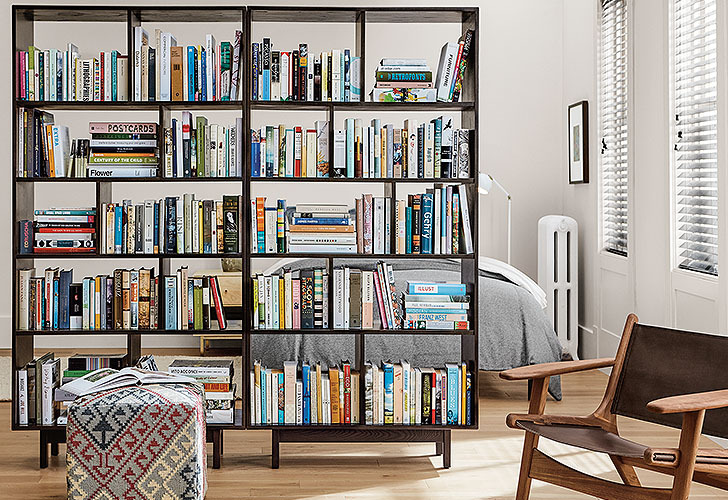 The Dahl bookcase adds Mid-century modern storage to any space in your home. Its understated character highlights the beauty of the personal items you choose to display. Filling it with books also creates privacy between spaces. The Slim bookcase offers a balance of grace and strength. 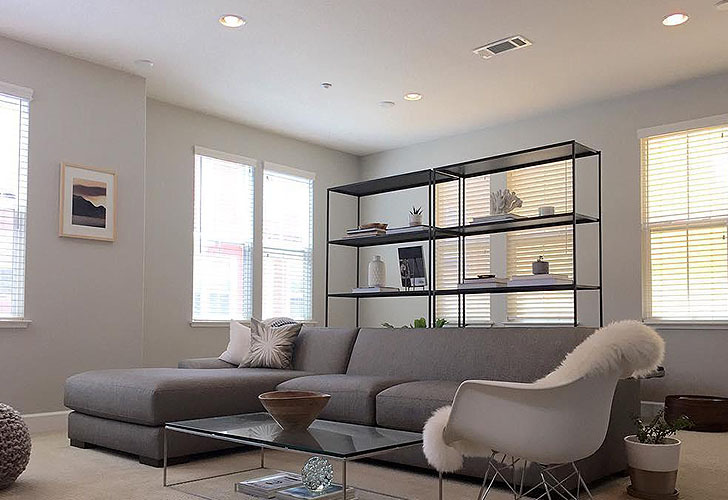 Floating it behind the sofa in this living room provides storage space and anchors the room. The Woodwind open-back bookcase offers the look of a built-in no matter your space, providing you with an ideal storage piece to display your most treasured personal items. The smaller size works great for this apartment, separating the bedroom and dining area. Sometimes you want to divide a space completely without being able to see through it. That’s where Keaton comes in! Sleek modern design highlighted in a thin silhouette gives you endless storage options. 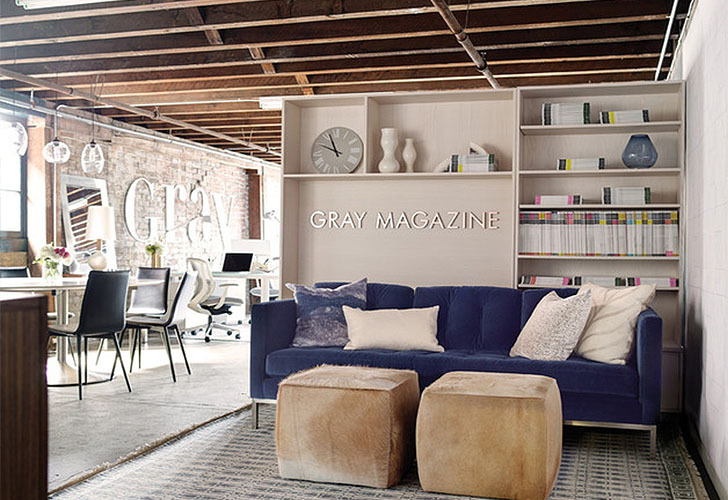 GRAY Magazine used Keaton to separate their lobby from the rest of their office. Need more design help? Get your project started with our free design services right from your home!